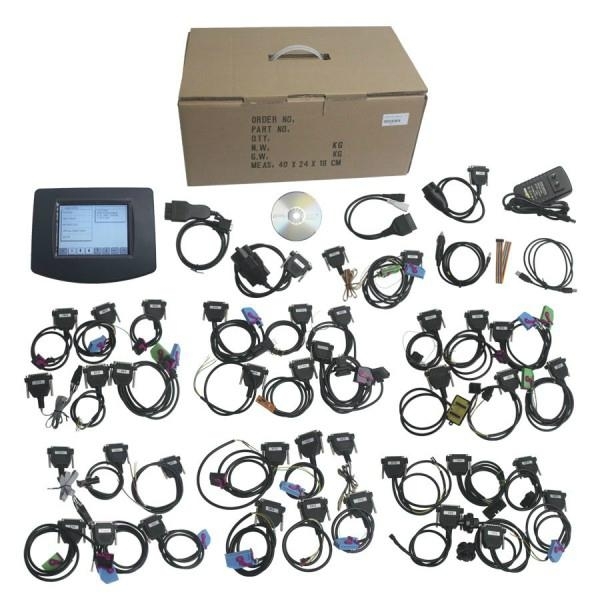 NEW STYLE SOFT-TOUCH YANHUA Highest Quality 100% Stable Digiprog3 - Dp3 Touch screenOBD Mileage Adjustment Master Programmer and Eeprom Programmer Entire STRIPDOWN Kit with ALL Leads and Adapters to do most Car, Van, or Motorcycle. THIS VERSION IS FITTED WITH FTDI CHIP SO IS READY TO CONNECT TO PC SHOUD YOU WANT TRANSFER EEPROM TO PC ETC.. Capable of doing plenty models ie 2014 E-CLASS, C-CLASS, 2011 Volvo S80, PLUGIN OBD as is Fords, Merc, VW, Audi, Skoda, Seat, etc, etc, ALL PLUGIN OBD. 1.Just done a Mercedes 204 and 212 diagnosis, mileage and assyst processing, the tool worked alright. The mileage correction just took less than 1 min. 3.I have tried and tested my DP3 (Digiprog 3) on Mercedes 204 212, worked great OBD. 5.I did Mercedes Benz w204 2010, w212 2011. 2 min job done. Worked very good. 8.Tested on VW Jetta 2007 and Chevrolet Malibu 2008, OK.
9.I only got the machine this week, the cars I have tried up to now have worked all the eeprom of Audi A4 09 diag, 2011 Ford Focus diag, Peugeot E7 BSI and dash, Fiat Doblo diag, Honda Accord, Peugeot 407 06, Peugeot 406 bsi and dash. 2013 Merc E-Class W212 OBD easy tho need reset DPF values after. This is a Universal tool and can do ANY Car, Van, or Motorcycle. Capable of doing the latest models ALL PLUGIN OBD. what a star for the money.. Please note BECAUSE ITEM IS DEDICATED FOR PROFESSIONAL USE ONLY AND TO WORK WITH MANY DIFFERENT VEHICLE MAKES THIS ITEM CAN NOT BE RETURNED IF DOES NOT FIT YOUR VEHICLE - IS NOT DEDICATED FOR ONE OFF OR PERSONAL USE!